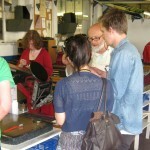 We had a fantastic time at this year’s Hepworth Wakefield Print fair and showed work from 30 Hot Bed Press artists. Sales were very good and a huge thanks to everyone who made the journey and managed to catch the fair which featured some very beautiful work and some great galleries. 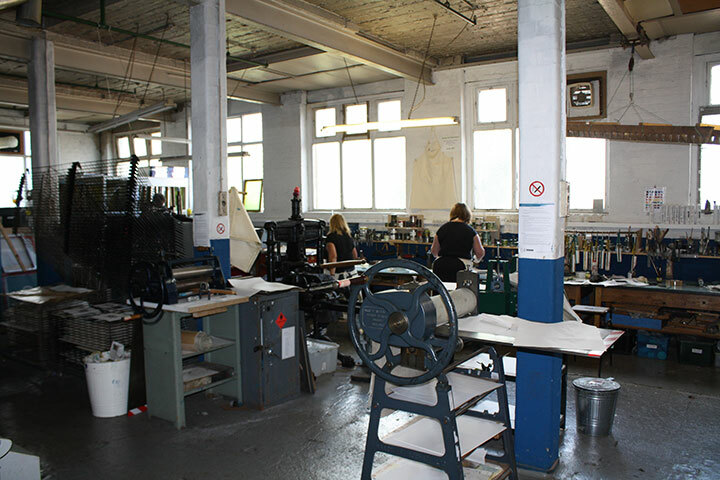 If you are a Hot Bed Press member, (even an associate member which is just £25 for the whole year) you get access to submit for our exhibitions and Print exchanges. Call the office to find out more. Exhibiting with us is a great way to get your work seen by customers and galleries and to raise your profile. Thousands of original prints by members of Hot Bed Press in our Under-The-Bed Sale and sale of 20:20 prints. 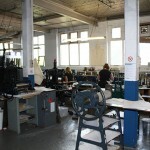 All our first floor studios will be open with artists showing prints and printed products for sale. Ideal gifts for Christmas or just as a selfish treat! 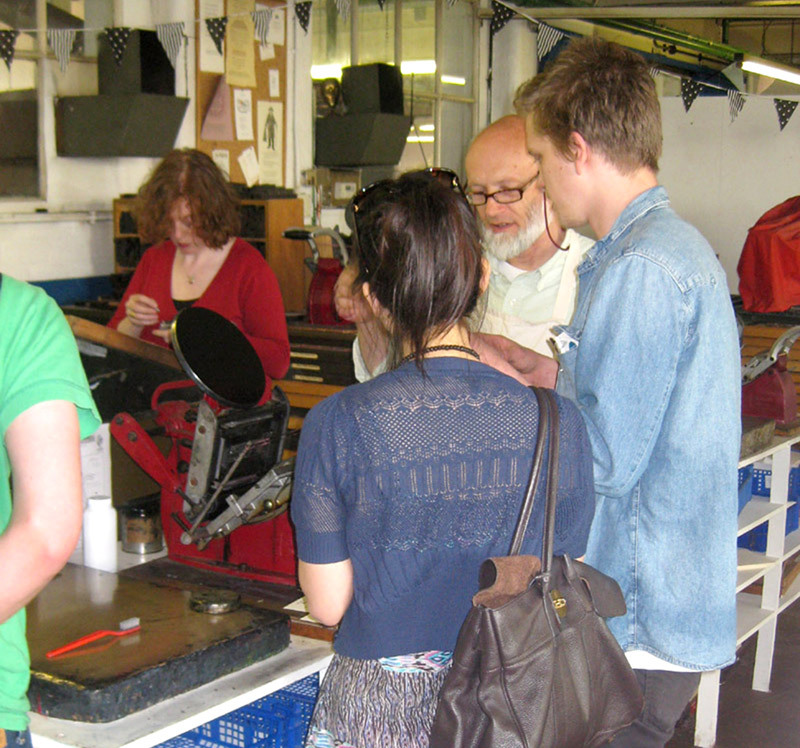 Plus free print demonstrations in our Print Lab Studios on Saturday betweeen 12.00pm and 4.00pm in solarplate with Lois Gilbert, stone lithography with Jeni Nuttall and screenprinting with Sean Rorke. All 3 of our special new Print Lab professional studios will be set up with demonstrations and expert tips. We have a fresh exhibition of book arts launching this Saturday at Chapter One Books! 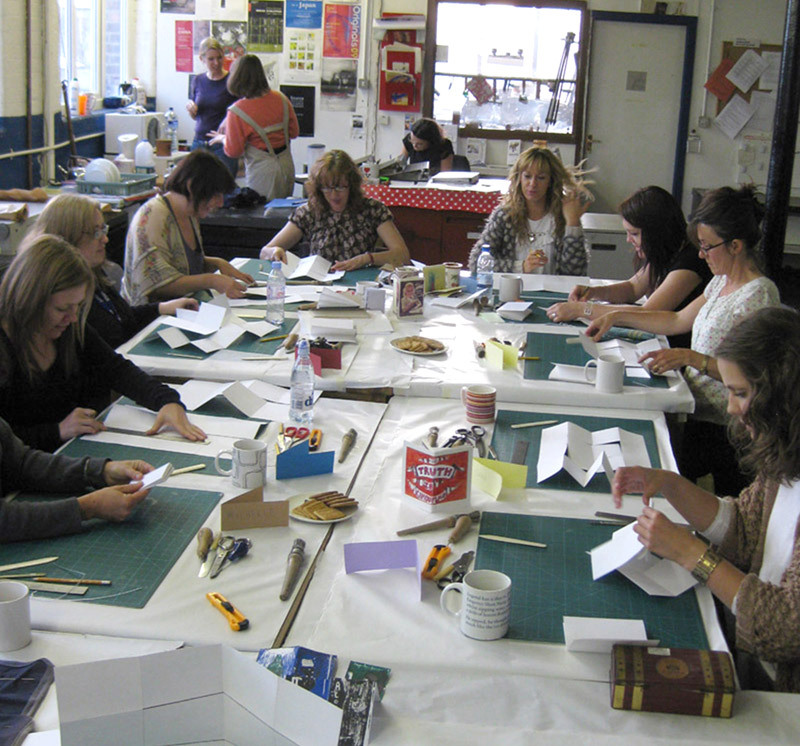 The Manchester Artists Book Fair will feature over 20 stalls of fantastic limited edition hand-made artists books. Print UnLtd is an exhibition of works celebrating, challenging and questioning contemporary printmaking. Supported by Art Collection; University of Salford, Salford Community Leisure and Arts Council England the exhibition was selected by a panel from an open submission call out for works that questioned pre-conceived ideas of what is a print and the conventions of how prints are made, displayed, interpreted and sold. The 4 selected artists have been working over the past three months to create new bodies of work. The work will be shown in a specially adapted gallery in Salford Museum & Art Gallery. 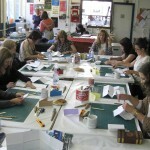 There is a programme of accompanying workshops and talks at the gallery, starting with all 4 artists working in the gallery in a One Day Pop-up Print Academy on Wednesday 30th May 11.30am – 3.30pm, and available to discuss and show elements of how they created the works on display. Hot Bed Press is really proud to be involved in this project and to be working in partnership with the University of Salford, Salford Museum & Art Gallery and Salford Community Leisure. We hope that this will be just the start of more major projects with the university and gallery that shed new light on printmaking and serve to make people think about what is a print and how far can we go with printmaking in the modern age. Reveal Printmakers group who make their beautiful work at Hot Bed Press have a forthcoming exhibition at the Old Parsonage, Didsbury, open 3rd – 25th March. Exhibition launch : Sunday 4th March 1-3pm. See image for full details. They would love to see you at the preview and the artists will be available to talk to on selected days throughout the show.